Home » Blogs » maxine@bookculture.com's blog » Q&A and Reading with Jonathan Papernick, author of "The Book of Stone"
Q&A and Reading with Jonathan Papernick, author of "The Book of Stone"
This Monday, June 15th, at 7pm, Jessamyn Hope (Safekeeping), and Jonathan Papernick (The Book of Stone) will meet at Book Culture on Columbus to discuss their recently published novels. Jonathan Papernick, also the author of story collections The Ascent of Eli Israel and There Is No Other, agreed to answer a few questions about his writing and upcoming work! Jonathan's fiction has appeared in numerous literary journals including, Nerve, Post Road, Green Mountains Review, and Night Train. Papernick has taught fiction writing at Pratt Institute, Brandeis University, Bar Ilan University, Emerson College, Grub Street Writers and Emerson College. A Toronto native, Papernick lives with his wife and two sons outside of Boston. We'd like to thank him for taking the time to answer our Q&A and for sharing his work with us! 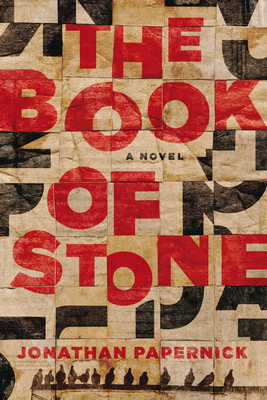 How did you come to write The Book of Stone? After I completed my first collection of short stories The Ascent of Eli Israel, I still felt I had more questions that needed answering in relation to faith and violence, themes I dealt with in my first book. I didn’t feel I needed to write anything further set in Israel, but felt these themes carried over nicely to Brooklyn where I was living at the time. The novel is as timely now, if not more than when I first conceived of it back in late summer of 2000. I just finished reading Compulsion by Meyer Levin which is an absolute masterpiece. I’m currently reading A Replacement Life by Boris Fishman. The Price of Salt by Patricia Highsmith is on deck. My favorite book of all time is The Collector by John Fowles. I love how he is able to create sympathy for the monstrous kidnapper who is so “in love” with an art student that he secretes her way in his basement, fitted out what he believes will provide her pleasure and enjoyment. He’s a chilling, frightening character and is portrayed with incredible psychological depth and sympathy. Is there anything you are particularly looking forward to the publication of? I’m really looking forward to the publication of Girl at War by Sara Novic. She is a former student of mine from Emerson College and the original germ of that novel began with a short story she turned in for my class. This novel is going to be huge. I have about ten stories written for a collection that will be called Gallery of the Disappeared Men. I also have a couple of hundred pages of my next novel sitting on my computer waiting for me to return to it. The novel is called The Sunday Synagogue Softball League and it deals with the potential dissolution of a synagogue community after the synagogue loses all its money in a terrible investment scheme.